Your wedding day is the most important day of your life! Michelangelo’s bridal services will give you the perfect look for your special day! 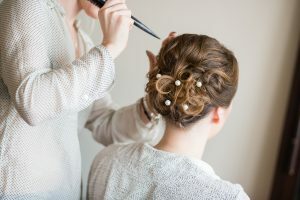 Our stylists will have you and your bridal party looking their best! We will consult with you beforehand to design the perfect look that suits your personal style and complements your gown and veil or headpiece. Call today for a consultation and feel free to bring photos of your desired style and make-up, and don’t forget your veil or any hair ornaments you might be wearing that day! To see our full range of services, please visit our services page. Copyright © 2019 Michelangelo Salon. All rights reserved.